Ladies if you’re looking for some great beauty products but conscious of your budget, I have a great site for you called www.beautyfeatures.ie who are having a super sale on some ranges right now. They have up to 25% off Clarins, €20 off the Proactiv skin care range – until June 27th ( which I have been using as my only skincare for the last five years!) They even stock FitFlops and will deliver your pair straight to your door for free! I’m still running around in my pair of FitFlop Pietra! Walk and give yourself a work out at the same time! These guys will have you looking fab for less this summer! This evening saw the launch of the Fitflop, or in other words, “a good looking plaster”, “rehab for the feet” and the list of euphemisms goes on (we had a lot of fun thinking of these). These are no ordinary shoe, they are TLC for the feets in their finest form. 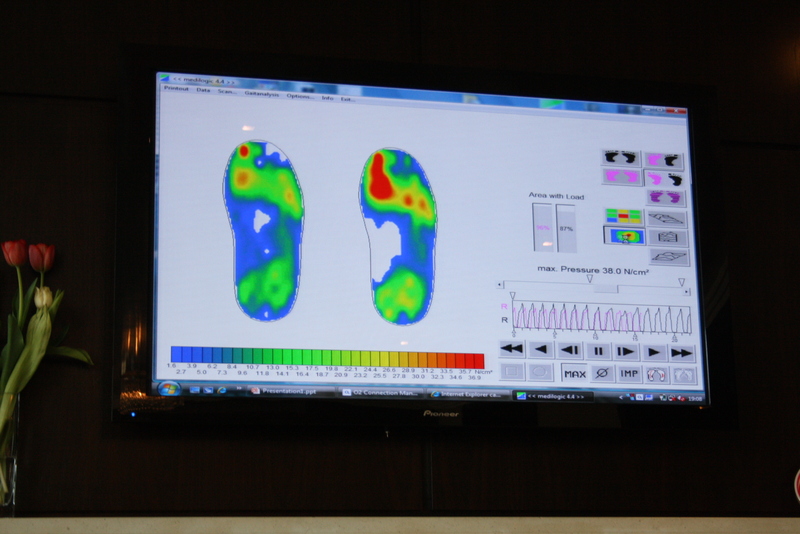 With the combination of research and technology, I was able to see the difference between walking in a FitFlop and my own flat pumps, which, let’s be honest, we all wear as our comfy shoes. I was astounded, in my flats, only 87% of my foot hit the ground, as opposed to 96% in the Fitflop, giving my foot, legs and bum the ultimate work out. In these babies, I want to walk more. From now on, it’s off the DART at Lansdowne and not Grand Canal Dock. 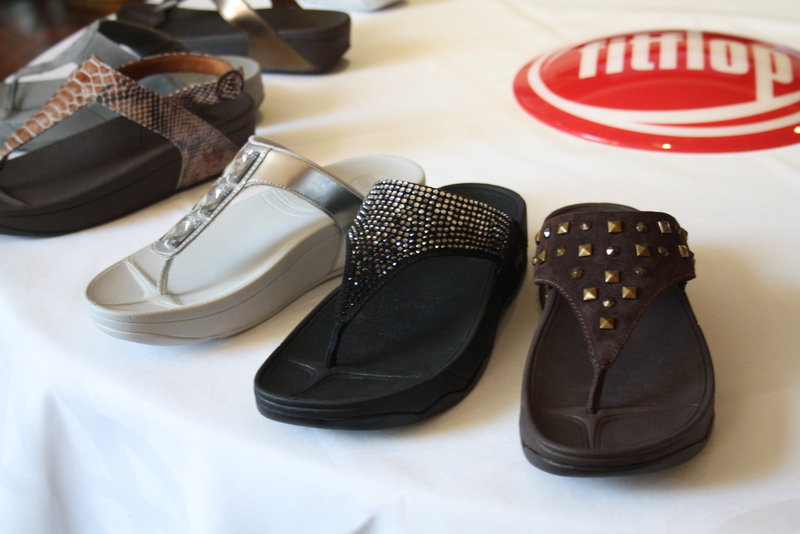 Moreover (I love using that word), Ireland has the highest per capita ownership of the Fitflop in the world. Guess we Emerald goddesses just get the concept of what the shoe can do for our posture and muscles. On top of that we talked blogging, fashion, volcanoes causing the world to shut down, mutual friends and most of all, how seriously light the FitFlops are! We won’t be worrying about luggage weight restrictions this summer! Fitflops have so many different styles, from bejewelled with stones to styles adorned with Swarovski crystals and limited edition designs from Anna Sui (there’s only 48 pairs!). They are also hitting some of the key trends this Spring/Summer with prints and embellishment galore.